Following the closure of ‘The Frame Factory Cardiff’ in September 2017, we are pleased to announce that we managed to persuade Chris Reynolds not to retire from picture framing completely but to join us, with his team, here at Saltmarshe. 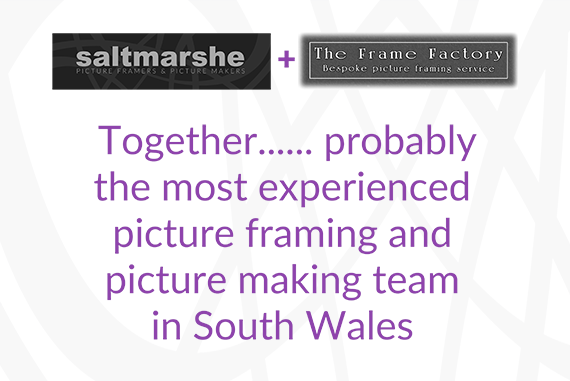 Combined, we believe we have the most experienced picture framing and picture making team in South Wales. Don’t just take our word for it, check us out on Google and discover our many ‘five star reviews’. Although we were not able to retain the premises in City Road, we have made provision for existing Frame Factory customers by purchasing and integrating their entire stock of picture mouldings into our already extensive range. So for those customers who wish to match former Frame Factory orders and styles, we can search the database and find the exact moulding. Simple continuity. Hope to see you soon at Saltmarshe.